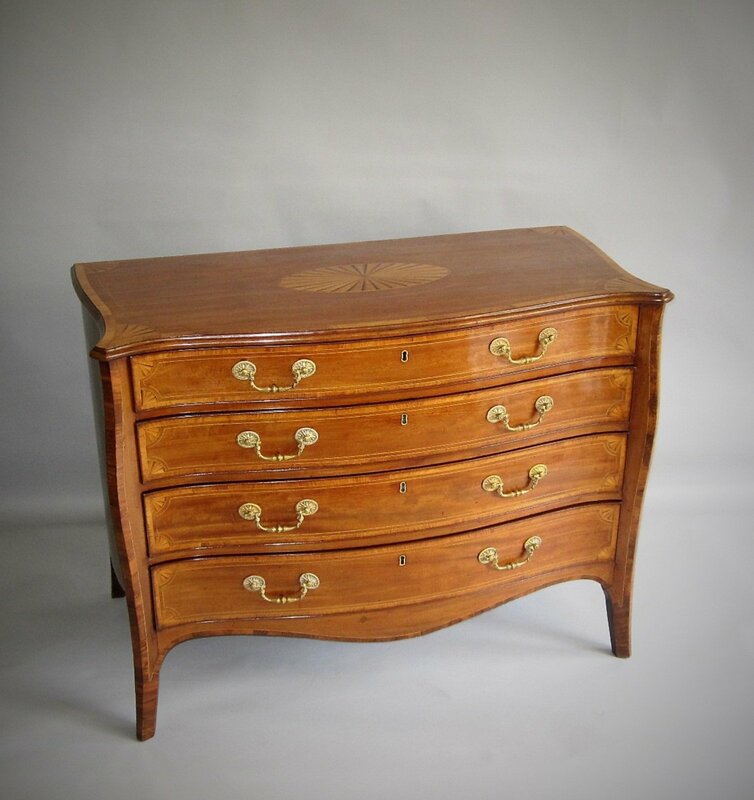 AN IMPORTANT LATE 18TH CENTURY HEPPLEWHITE PERIOD MAHOGANY AND SATINWOOD SERPENTINE COMMODE. GEORGE III, CIRCA 1780. The whole of a glorious colour & patination. The cross banded serpentine shaped moulded top with a central oval paterae & quarter paterae to the corners, over shaped & cross banded sides & four graduated drawers with corresponding inlaid paterae and cross banding, mounyted with original fire gilded handles. The drawers are flanked by pronounced bat wing corners and over a shaped apron and raised on splay feet.